Rural tourism as a component of overall tourism industry is fraught with immense potential in Tripura because of the hilly serenity and a predominantly pastoral setting in which the state is nestled. The economic development of Tripura and the process of Urbanisation that gained in momentum since the year 1998 has been continuing with a drive and vigour unmatched by any other state of the north-eastern region. For all the development and urbanization, however, Tripura continues to be dominated by its vast picturesque rural hinterland and lush hillscape. The greenery of the state’s rural landscape dotted with paddy fields, natural lakes and serpentine rivers beckon any newcomer or tourist to Tripura. The hillscape, on the other hand, is dotted with traditional tribal households made of thatch and bamboo, elevated from the land to ward off dangerous wild animals and reptiles. 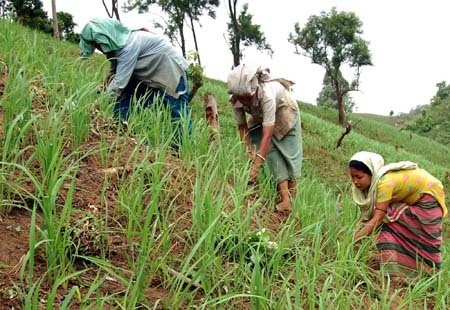 For hundred of years the indigenous tribals, particularly ‘Jhumias’ (shifting cultivators) among them, have been making their typical forest habitats in this fashion which exists even today and marks a continuity in the state’s cultural tradition and socio-econo mic life of the tribals in all its pristine purity. Besides satisfying one’s aesthetic senses, tourists visiting the rural and hilly interiors of the state can have sight of Tripura’s rich tradition of handloom and handicraft which outsell products from other states in the national and international market. Truly a commercial bonanza is within easy reach of tourists to rural backwaters of Tripura and the hilly interiors of the state. Any tourist can stay in tourist lodges in district and sub-divisional headquarters and have a close feel of the rural life and culture. Besides, the system of having paying guests in rural households is prevalent in Tripura now. 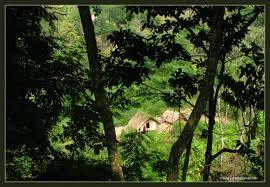 Many a paying guest stays and works in the Mizo- dominated Jampui hills of North Tripura. What adds to the attraction of the hillscape in Jampui is the serene desolation of a tri-junction comprising borders of Tripura, Chittagong hill tracts of Bangladesh and outlying areas close to Myanmar border. Even a low power binoculars enables a tourist or visitor to have a look well inside Bangladesh and Myanmar. Apart from this, villages close to the archaeological sites of Pilak in South Tripura and Unokoti hills in North Tripura provide ideal space for lodging and food as paying guests to tourists keen to enjoy the idyllic ambience of rural life in Tripura. Leaving aside these sites, eight of Tripura’s seventeen subdivisions stand on the edge of the state’s 856 km long border with Bangladesh and the quiet rural areas in the outlying areas of the sub-divisional towns close to the border coupled with steady glimpses of life within Bangladesh territory provide ideal opportunities for tourists keen to have a feel of life in rural and border areas. Tourists averse to staying in plush hotels can lodge close to the soil as paying guests in ordinary households. This entry was posted in Uncategorized by Nabarup Ganguly. Bookmark the permalink.